The area farms manager for Clive Soanes Broilers is participating in a challenging 81 mile race to raise funds for a colleague who passed away earlier this year. 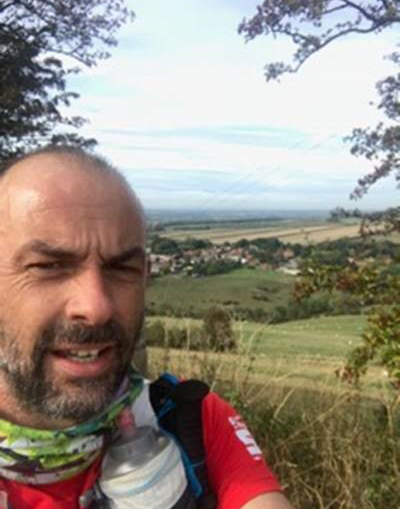 Over the weekend of the November 24 and 25, ultra-runner Mark Ireland from Driffield will take on the gruelling Hardwolds 80 that follows the Wolds Way from Hessle through to the seaside resort of Filey. Although Mark doesn’t underestimate the challenge, he is no stranger to ultra-marathon events having completed the Hardmoors 55, the Lakeland 50 mile and the 100k Race to the Stones since he started running in 2015. Mark will be one of the 217 entrants from Great Britain, Denmark, France and Portugal. Mark’s fundraising initiative is the first in a series of events that the Middleton on the Wolds business has planned to raise money for charitable causes in Helen’s memory. Soanes Poultry is a family owned business which has been rearing and preparing chicken for 71 years. It currently employs 120 people and rears five million chickens a year on its Yorkshire farms and sells its chicken and game to butchers and independent retailers in Yorkshire and to wholesalers nationwide.